I strongly believe a home is not complete without art. It gives such a personal touch to a space and instantly adds character. The interior featured here is a great example. It has an interesting mix of paintings, photographic art and posters… The same eclectic approach was taken for the furnishings; mid-century pieces are beautifully combined with contemporary designs. The pared down palette ties the look together, and provides a serene atmosphere. 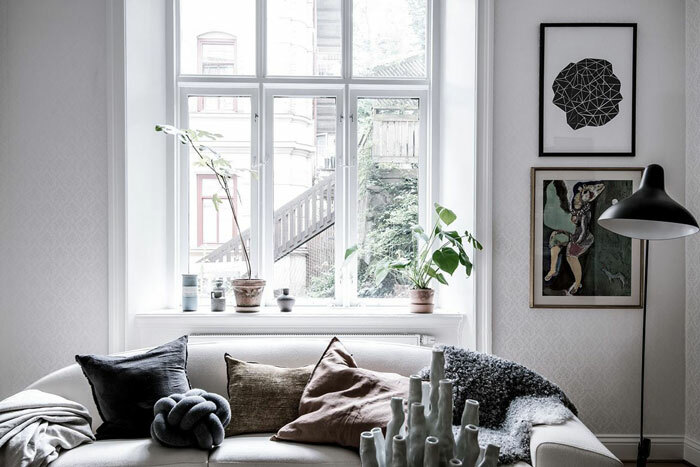 For similar prints and artwork, check out The Poster Club, Silke Bonde, Stilleben, Tappan Collective and Minted.